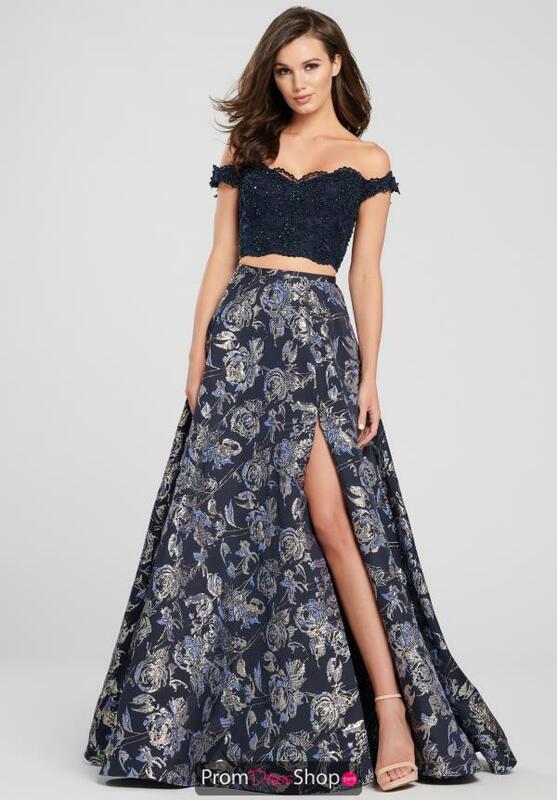 All eyes will be on you when you wear this fashion forward two piece dress EW119126 from Ellie Wilde. This trendy style has a lace crop top with an off the shoulder neckline and a lace up back. The flattering A-line skirt flares out subtly, and showcases a thigh high slit and a train. It is made from a luxurious jacquard fabric that gives this dress an elegant feel.